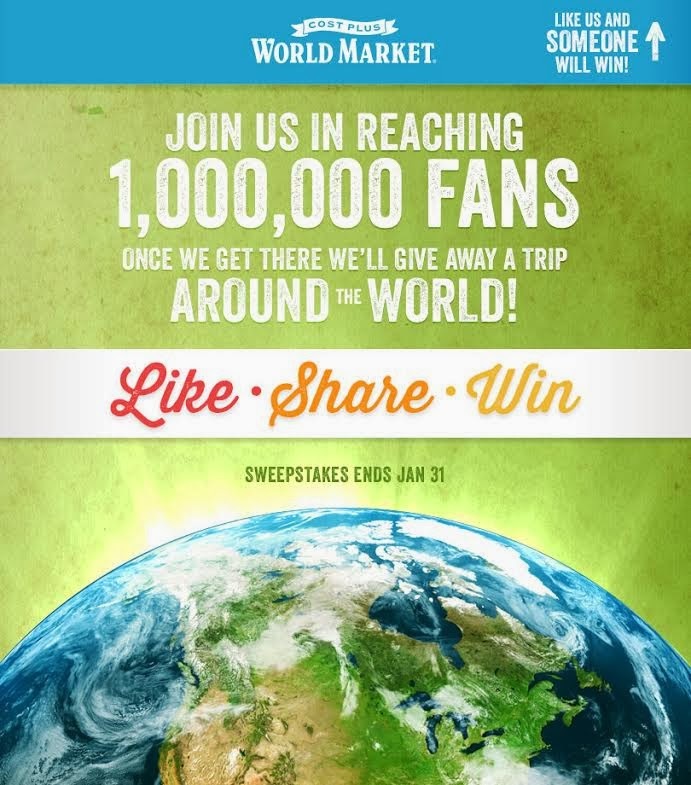 Join me to help Cost Plus World Market in reaching 1 Million Facebook Fans! Once they get there, they'll give away a trip around the world! !